Hotpoint have announced today following the Grenfell Tower investigation anyone who has a Hotpoint Fridge Freezer model numbers FF175BP (white) or FF175BG (graphite) to check their model and serial number, this is usually located on a sticker behind the salad container, they were manufactured between March 2006 and July 2009 and were discontinued in 2009. 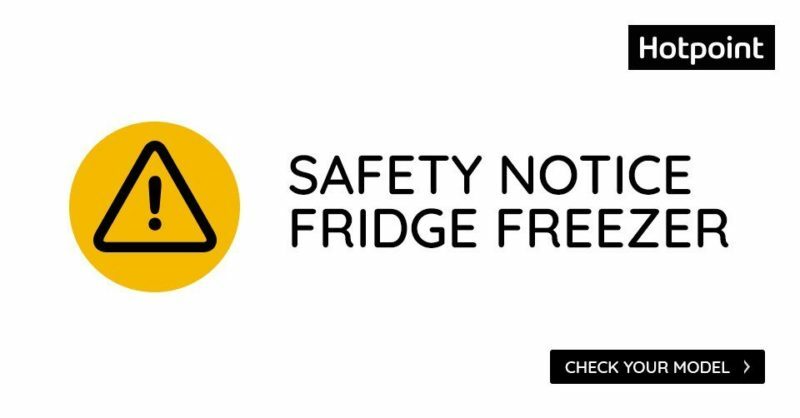 It is not known how many are still in use today and to contact Hotpoint directly for more information if you are affected. Please click Here for more information and of what to do if affected. As a letting agent we are asking all of our tenants to check their appliances as soon as possible to see if they have a Hotpoint Fridge Freezer with either model number FF175BP (white) or FF175BG (graphite) and to contact Hotpoint directly but also inform Stuarts Property Services so we can inform their Landlord. Other safety tips can be found on Electrical Safety First’s page.